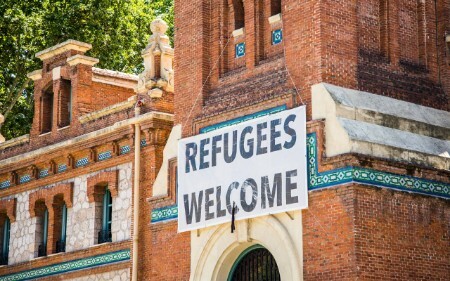 Can integrating refugees help businesses grow? When integrated into the workforce, refugees can rebuild their lives, and add valuable contributions to society and the economy. Thankfully for Basel, Robert Jung, an EY senior manager who had led the team that created EY’s German Diversity Charter refugee support team, was watching the broadcast. “We immediately knew that we had to find him and bring him to our office,” Jung said. 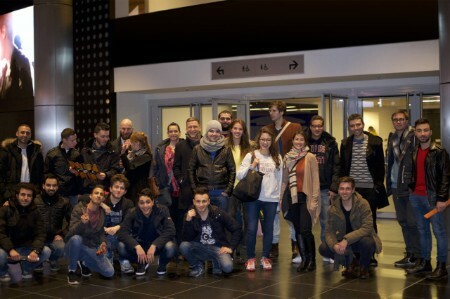 Within a week Basel had been taken on as part of EY Germany’s pilot internship program, along with 10 other refugees. Basel is now a full employee within EY’s Audit Service Line as are two other refugees from the original program. As part of its commitment to building a better working world, the EY Germany refugee support team is leading the corporate response to one of the biggest migrations Europe has seen since World War ll — more than a million arriving from Africa and the Middle East. Employment is a crucial step in integrating into a new country, helping migrants build support networks and earn livelihoods. Hiring people from different backgrounds, such as refugees, is not only good for society it’s good for business and the whole economy. Yet many refugees are unable to work, and so unable to take those first steps toward getting to know the language and culture of their new home. “We knew that we were the right company to help in this situation because we had the network, and we are experts at managing complex situations,” said Jung. EY has been working with the Charta der Vielfalt (Diversity Charter), a corporate initiative to promote diversity in companies and institutions that involves more than 60 German companies — a third of which are among the largest in the country — and under the patronage of German Chancellor Angela Merkel. The initiative involves reaching more refugees, sharing leading practices and adjusting internship programs. An EY survey in Germany found that the biggest obstacle for hiring refugees was a lack of language skills. While work can help with language, it is not always the best way to make the personal connections that lead to real cultural integration. To remedy this, EY Germany staff have joined a volunteer program called EY Cares, which provides funding for a language learning app that EY employees were involved in developing. EY has also supported Kiron, a social start-up providing higher education (and free basketball tickets) to refugees. Teams that rate highly for diversity and inclusivity have reported 57% better team collaboration and 19% greater retention rates. They were also 45% more likely to improve market share and 70% more likely to find success in new markets. Existing employees also benefit. After being involved in the apprenticeship scheme in the early stages, EY people began to get involved with the community outside of work. “I started a running club with some colleagues for refugees at one of the shelters in Berlin, another colleague has started a job platform website and another provides German language classes” says Laura Laswell, from EY Advisory Services in Germany. However, simply hiring people from less advantaged backgrounds will often not be enough, if it doesn’t come with a sympathetic understanding of their unique experiences and personal circumstances. Lasswell points to an example where one apprentice was regularly late for work. Rather than confronting the apprentice, the team took the time to understand his personal situation. It turned out that he was homeless. Unwilling to live in a refugee shelter, he was sleeping at friends’ apartments, so was struggling to judge his commute time from different locations around the city. Through the development of its German refugee program, EY faced, in miniature, many of the same challenges of running a diversity initiative on a global scale. Many companies still struggle to find candidates from diverse backgrounds — and the same was true for EY’s program when it came to finding women refugees to take part. According to the Pew Research Center, 73% of asylum seekers in Europe, Norway and Switzerland in 2015 were male. Consequently, women can feel even more isolated in their new countries. When EY noticed that few women refugees were applying for the initiative, it made a concerted attempt to find and encourage more women to apply to the apprenticeship scheme. People from different backgrounds produce a vast range of ideas and approaches that are key to innovation, and diverse teams can anticipate disruption, as they see the world from a range of different perspectives. 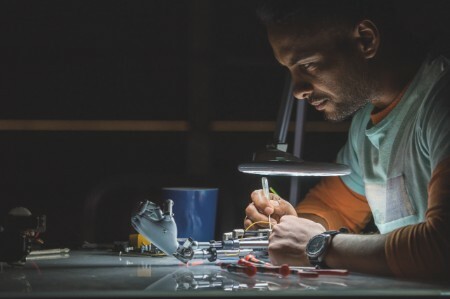 “Today it is less about finding people with the exact skills and experience match because our businesses are facing constant change,” says Mike Bertolino, Global Leader for EY’s People Advisory Services. “We would argue that is it far more important to select people who are creative problem-solvers and have demonstrated an ability to be resilient and adaptable. People from less advantaged backgrounds have often acquired some of this resilience and adaptability. That the refugees on EY’s apprenticeship scheme had managed to flee horrific warzones and cross vast distances in difficult conditions to make it to Germany, meant they had already overcome far greater obstacles than anyone would encounter in the workplace. The refugee crisis is one of the most pressing challenges of our time. It is hoped that the Diversity Charter will be extended to other countries to help the global response. 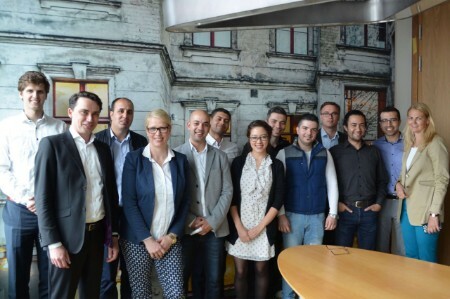 EY Germany has discussed the project with both the European Union and a US cabinet member. 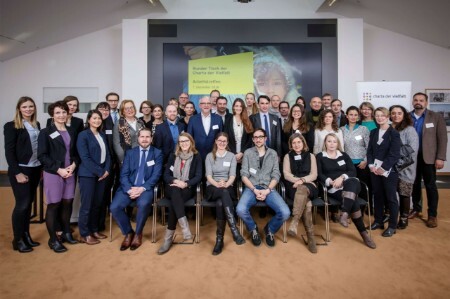 If you want to find out more about the work EY’s German Diversity Charter refugee support team has been doing, please contact Doreen Salinger, Manager, Advisory Services. Hiring people from diverse backgrounds is not only good for society, but also good for business.